Cpl. 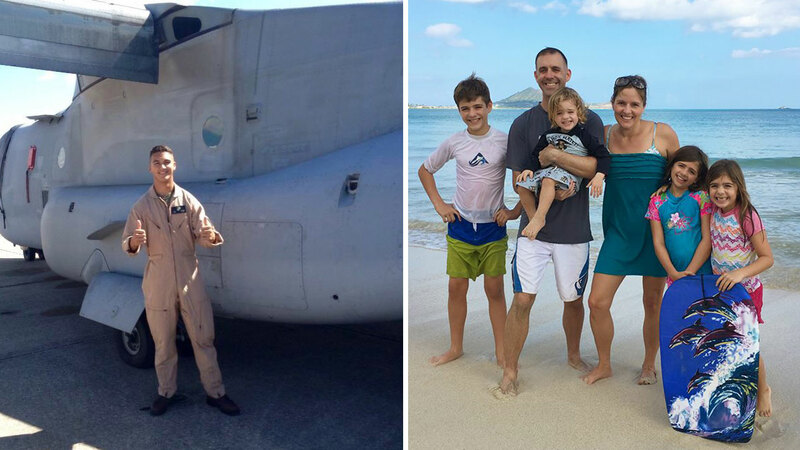 Matthew Drown, on left, and on right, Major Shawn Campbell with his family. HONOLULU, HI -- The Coast Guard says it is suspending a massive search for 12 Marines who have been missing since two helicopters crashed off Hawaii. The search for survivors was called off Tuesday afternoon after nearly five days of round-the-clock searching involving multiple agencies. The Marines were alerted when the helicopters carrying six crew members each failed to return to their base following a nighttime training mission. Hours later, the Coast Guard spotted debris 2 1/2 miles off of Oahu. All four life rafts that were aboard the helicopters were later found empty. The Coast Guard initially reported that the choppers had collided, but the Marines said later it's not yet known if there was a collision.